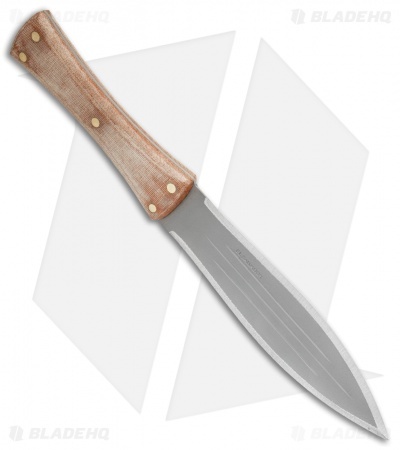 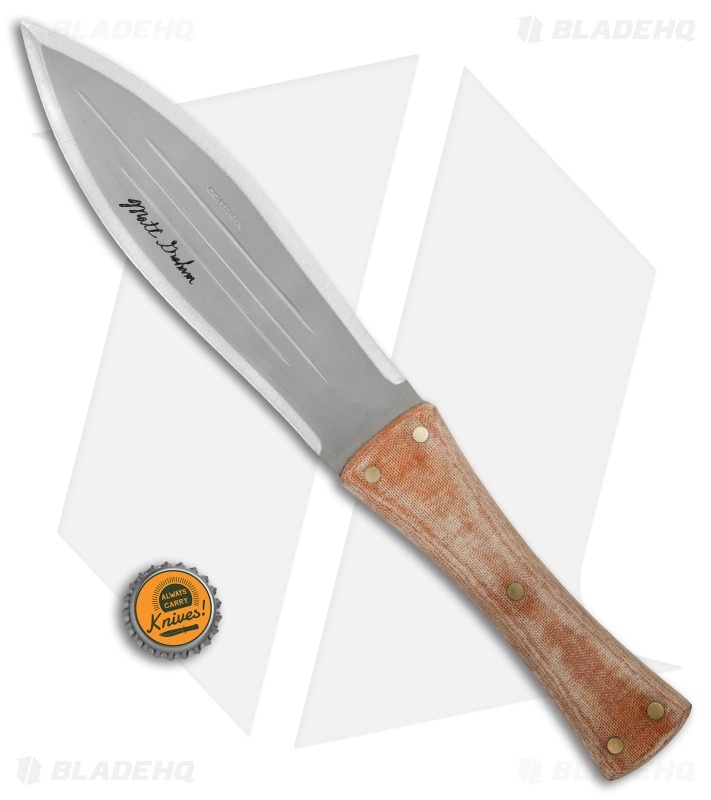 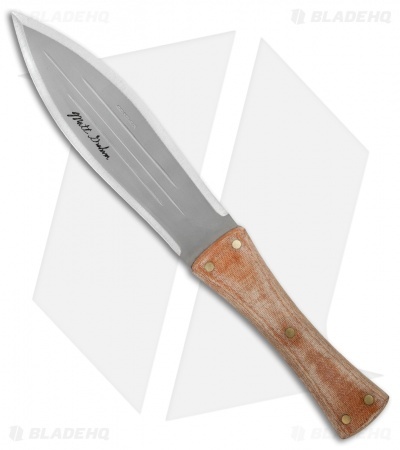 This Condor African Bush Machete features a double edged dagger blade and a micarta handle. The blade is made from 1075 high carbon steel with a bead blast finish and a signature from the designer Matt Graham. Every edge of this machete has been hand finished and honed to a razor sharp edge. 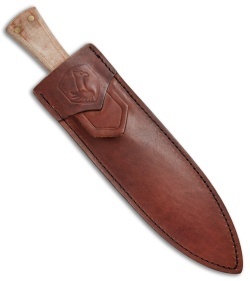 The natural micarta handle provides a smooth, ergonomic grip with brass pins adding a classic touch to the design. Item includes a heavy duty, handcrafted leather sheath.